This letter comes from one of our Ordinary members, who wishes to remain anonymous. He raises interesting and pertinent comments from a tree owner’s perspective. 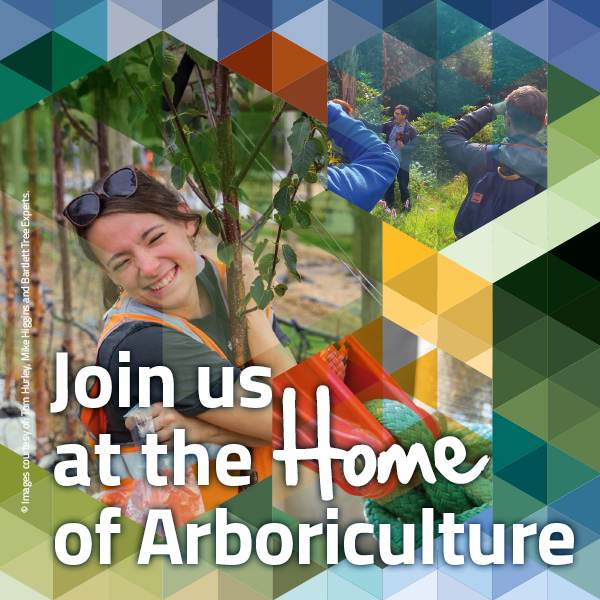 Any responses gratefully received: ARBmag.editor@trees.org.uk. After agricultural college and farming experience, i worked, until retirement, as an environmental studies secondary school teacher in Hampshire where i acquired a house on a third-of-an-acre plot in 1981. A private estate had been divided into building plots, averaging a quarter of an acre each, in the late 1950s, leaving large gardens with abundant tree cover. The sweet chestnuts in midwinter. An Area tree protection order (TPO) had been placed on our neighbourhood in 1972 after a local councillor had become concerned about unrestricted tree felling in one garden. The original Area TPO was replaced in 2005, when rear garden trees were given Group classifications and a number of roadside trees were given Individual Tree TPOs. The previous owner of our property had lived and worked abroad for many years, leaving the house tenanted before we acquired it. The garden was neglected during the decades of tenancy. There were approximately 50 sweet chestnut trees and one good beech, all 60ft to 70ft high, in the rear garden when my wife and I acquired the plot. Such was the congestion of these ‘wild sown’ trees that the lower branches of the beech turned upward, seeking light, rather than spreading outward. Wild rhododendrons covered more than half of the garden including the ‘woodland’ area where they appeared to have thrived in shade. Not all the original trees were in the original TPO Area and some, very near to the house, were removed to separate a light area of rear garden from a larger ‘woodland’ area. When tree advice was needed, someone came from the local parks department. At the time crown reduction of trees, including the sweet chestnuts, was freely allowed and we had two double trees and a single tree crown-reduced. After we had been more than 15 years on the site, the 1987 ‘hurricane’ felled some of our trees. Another storm felled trees in 1990. After storm felling and permitted felling we retain 25 mature sweet chestnuts, one beech at the rear of the house and an individually TPO’d Scots pine at the front. We introduced silver birch, field maple, rowan, hazel, hornbeam, dog rose, blackthorn and hawthorn in 1985, naively trying to grow boundary hedges. Lack of light restricted the success of this venture. Over the past decade I have been advised that a form of Phytophthora is affecting some of our trees. One of our last permitted fellings was because of Armillaria. Collybia fusipes and Fistulina hepatica are among the fungi which also affect our trees. We have retained tree stumps for stag beetle larvae. Beetles are again emerging daily in our garden again this summer. Many are taken by corvids or bats. As well as stag beetle larvae eating ‘mushy’ wood below ground, wood-boring insects leave visible signs above ground. Stunted, ‘variegated’ sweet chestnut leaves. On the afternoon of Sunday 14 May 2017, while not actually looking at trees but gathering some soil for pots, I noticed unusual swellings on low sweet chestnut re-growth. As well as the swellings, the foliage had abnormally slender leaves, of contrasting green/yellow colour (see picture opposite). I notified ‘Tree Alert’. By Tuesday 16 May the Tree Health Diagnostic and Advisory Service had confirmed that my smartphone pictures suggested that OCGW had now spread from around Greater London, westward through Surrey into our district. According to the 2005 revised Group TPO there are 79 sweet chestnuts across 17 gardens on one side of our road. The neighbourhood has hundreds more sweet chestnuts. Other trees are far less numerous. The need for biodiversity seems obvious but private landowners can often face resistance from local councils when it comes to managing trees. Our council has stated, in writing, that they have no management policy for privately owned TPO trees. However, in a delegated report, the same council has argued against the Woodland Trust and Forestry Commission’s stance that ‘un-managed woodland declines’. A decade ago, in correspondence with our local MP, I suggested that private owners of TPO trees are custodians of trees for ‘public amenity value’ which help with carbon sequestration. TPO tree owners, I suggested, should be given a £50 per tree per year Council Tax rebate or be able to claim relevant amounts for tree surgery on TPO trees. My experience is that when a tree shows evidence of decline, even in a congested group, an arboricutural consultant’s report is required before its removal and the thinning of the group can be considered. My experience shows that the cost of attempting to manage congested groups of TPO trees is extremely high. Our area has a virtual monoculture of sweet chestnuts, many of which are poor specimens. With sweet chestnut blight in a neighbouring county and our trees currently being affected by OCGW their future is uncertain. Positive management steps to thin overcrowded trees and increase biodiversity appear to be repeatedly thwarted by our local authority.